This is the result of a little self-learning of Cocoa and Xcode programming. 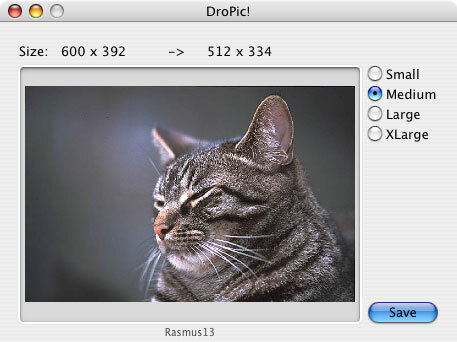 Quickly shrink your multi-megapixel images by drag & drop for web or email presentation. It is a useful little helper in the dock.